Please note, there are no credits/refunds issued for early returns. Guests may cancel their trip through our site or mobile app, and the cancellation is effective immediately. Any reservation canceled 7 days or more prior to the trip will receive a full refund less applicable Service Fees. The Service Fees are non-refundable. NONREFUNDABLE. However, it is possible to change the dates of the trip, free of charge, if the owner of the vessel gives their approval for a new date. Safety related cancellations stemming from the event of natural disaster, lightning, thunderstorms, heavy rain, or conditions which the captain deems are unsafe for the passengers will earn a complete refund less Service Fees. The owner is not authorized to cancel the booking (under the penalty of being removed from the platform), except in cases of force majeure, and the damage occurred prior to the trip date. If an owner wishes to cancel a booked trip, they must notify the guest via KellyBoat as soon as possible, and process the cancellation through the KellyBoat website. The cancellation is effective immediately, and the guest receives a complete refund. In such a case, Service Fees will be assessed to the owner, as well as a $100 pre trip cancellation penalty fee. Owners who repeatedly cancel trips may be subject to additional penalties, including removal from the platform. An issue with the Boat that causes a trip to end prematurely is deemed to be the responsibility of the Owner, and the Owner may be subject to penalties. In the event that such issue occurs within the first 25% of your total trip duration, the Owner shall be expected to make a full refund, less Service Fees. If after 25% of the trip but before 75%, the Owner shall refund 50% of the trip fee. If after 75% of your trip has been completed, no refund shall be given. features represented in the listing description are not provided or do not function, such as engines, water, lights, bathrooms (toilet/shower/bathtub), kitchen (sink/stove/refrigerator or major other appliances), and electrical, heating or air condition systems, the Guest may cancel the reservation for a full refund. Service Fees and a $100 penalty will be assessed to the Owner. KellyBoat reserves the right to remove the boat from the program or insist that the listing be amended accordingly. This Cancellation Policy is not intended to constitute an offer to insure, does not constitute insurance or an insurance contract, does not take the place of insurance obtained or obtainable by the Guest, and the Guest has not paid any premium in respect of the Cancellation Policy. The benefits provided under this Cancellation Policy are not assignable or transferable. KellyBoat may modify this Cancellation Policy, at any time, in its sole discretion, and without prior notice. THE SERVICES COMPRISE AN ONLINE PLATFORM THROUGH WHICH OWNERS (DEFINED BELOW) MAY CREATE LISTINGS (DEFINED BELOW) FOR BOATS (DEFINED BELOW) AND GUESTS (DEFINED BELOW) MAY LEARN ABOUT AND BOOK BOATS. YOU UNDERSTAND AND AGREE THAT KELLYBOAT IS NOT A PARTY TO ANY AGREEMENTS ENTERED INTO BETWEEN OWNERS AND GUESTS, NOR IS KELLYBOAT A BOAT BROKER, AGENT OR INSURER. KELLYBOAT HAS NO CONTROL OVER THE CONDUCT OF OWNERS, GUESTS AND OTHER USERS OF THE SITE, APPLICATION AND SERVICES OR ANY BOATS, AND DISCLAIMS ALL LIABILITY IN THIS REGARD. “KellyBoat Content” means all Content that KellyBoat makes available through the Site, Application, or Services, including any Content licensed from a third party. “Guest” means a person who requests a booking of a Boat via the Services and is not the Owner for such Boat. “Owner” means a person who owns and has title to the boat. “Listing” means a Boat that is listed by an Owner as available via the Services. KellyBoat reserves the right, at its sole discretion, to modify the Services or to modify these Terms, including the Service Fees, at any time and without prior notice. If we modify these Terms, we will post the modification on the Services or provide you with notice of the modification. We will also update the “Last Updated Date” at the top of these Terms. By continuing to access or use the Services after we have posted a modification on the Services or have provided you with notice of a modification, you are indicating that you agree to be bound by the modified Terms. If the modified Terms are not acceptable to you, your only recourse is to cease using the Services. You agree that you will comply with all written KellyBoat rules, agreements, and policies that are made available by KellyBoat on the Services and which are incorporated herein by reference. These policies include, without limitation, policies applicable to fees, cancellations, insurance, guest eligibility, privacy, and reservations. The Services can be used to facilitate the listing and booking of Boats. You may view Listings as an unregistered visitor to the Services; however, if you wish to book a Boat or create a Listing, you must first register to create a KellyBoat Account (defined below). As stated above, KellyBoat makes available a platform or marketplace with related technology for Guests and Owners to meet online and arrange for bookings of Boats. KellyBoat is not an owner or operator of Boats, nor is it a provider of boats, and KellyBoat does not own, sell, resell, furnish, provide, rent, re-rent, manage and/or control Boats, or transportation or travel services. KellyBoat’s responsibilities are limited to: (i) facilitating the availability of the Services and (ii) serving as the limited agent of each Owner for the purpose of accepting payments from Guests on behalf of the Owner when requested, and offering a platform through which payments may go directly to Owner after the collection of KellyBoat fees. PLEASE NOTE THAT, AS STATED ABOVE, THE SERVICES ARE INTENDED TO BE USED TO FACILITATE THE BOOKING OF BOATS. KELLYBOAT CANNOT AND DOES NOT CONTROL THE CONTENT CONTAINED IN ANY LISTINGS AND THE CONDITION, LEGALITY OR SUITABILITY OF ANY BOATS. KELLYBOAT IS NOT RESPONSIBLE FOR AND DISCLAIMS ANY AND ALL LIABILITY RELATED TO ANY AND ALL LISTINGS AND BOATS. ACCORDINGLY, ANY BOOKINGS WILL BE MADE AT THE GUEST’S AND OWNER’S OWN RISK. You acknowledge and agree that you are responsible for any and all Listings you post. Accordingly, you represent and warrant that any Listing you post and the booking of, or Guest use of, a Boat in a Listing you post (i) will not breach any agreements you have entered into with any third parties and (ii) will (a) be in compliance with all applicable laws, Tax requirements, and rules and regulations that may apply to any Boat included in a Listing you post, including, but not limited to, insurance requirements, coast guard regulations, zoning laws, marina regulations, and laws governing rentals and operation of Boats and (b) not conflict with the rights of third parties. Please note that KellyBoat assumes no responsibility for an Owner’s compliance with any applicable laws, rules and regulations. KellyBoat reserves the right, at any time and without prior notice, to remove or disable access to any Listing for any reason, including Listings that KellyBoat, in its sole discretion, considers to be objectionable for any reason, in violation of these Terms or otherwise harmful to the Services. You understand and agree that KellyBoat does not act as an insurer or as a contracting agent for you as an Owner. If a Guest requests a booking of your Boat and uses your Boat, any agreement you enter into with such Guest is between you and the Guest and KellyBoat is not a party thereto. Notwithstanding the foregoing, KellyBoat serves as the limited authorized agent of the Owner for the purpose of accepting payments from guests on behalf of the Owner and is responsible for transmitting such payments to the Owner. When you create a Listing, you may also choose to include certain requirements which must be met by the customers who are eligible to request a booking of your Boat, including, but not limited to, requiring customers to have a profile picture or verified phone number, in order to book your Boat. Any Member wishing to book Boats included in Listings with such requirements must meet these requirements; however, as noted below, we do not attempt to confirm or verify such information. More information on how to set such requirements is available via the “ Owners” section of the Services. If you are an Owner, KellyBoat makes certain tools available to you to help you to make informed decisions about which customers you choose to confirm for booking for your Boat. You acknowledge and agree that, as an Owner, you are responsible for your own acts and omissions. KellyBoat does not endorse any customers or any Boats. In addition, although these Terms require customers to provide accurate information, we do not attempt to confirm, and do not confirm, any customer’s purported identity or other information provided by such customer. You are responsible for determining the identity and suitability of others who you contact via the Services. Except as provided by the KellyBoat Terms and Conditions, we will not be responsible for any damage or harm resulting from your interactions with other customers. By using the Services, you agree that any legal remedy or liability that you seek to obtain for actions or omissions of third parties will be limited to a claim against third parties who caused you harm and you agree not to attempt to impose liability on, or seek any legal remedy from KellyBoat with respect to such actions or omissions. This limitation shall not apply to any claim by an Owner against KellyBoat regarding the remittance of payments received from a guest by KellyBoat on behalf of an Owner, which instead shall be subject to the limitations described in the section below entitled “ Limitation of Liability“. If you are an Owner and a booking is requested for your Boat via the Services, you may be required to either confirm or reject the booking within 24 hours of when the booking is requested (as determined by KellyBoat in its sole discretion) or the booking request may be automatically canceled. When a booking is requested via the Services, we will share with you (i) the first and last name of the Guest who has requested the booking, and, (ii) a link to the Guest’s KellyBoat Account profile page, so that you can view such information before confirming or rejecting the booking. If you are unable to confirm or decide to reject a booking of a Boat within such 24 hour period, any amounts collected by KellyBoat for the requested booking may be refunded to the applicable Guest’s credit card and any pre-authorization of such credit card will be released. When you confirm a booking requested by a guest, KellyBoat will send you an email, text message or message via the Services confirming such booking, depending on the selections you make via the Services. The fees displayed in each Listing are inclusive of a captain (required for each trip) and all KellyBoat fees. The amounts due and payable by a guest solely relating to an Owner’s Boat which are actually collected by KellyBoat are the “Boat Fees“. Please note that it is the Owner and not KellyBoat which determines the Boat Fees. The Boat Fees may include cleaning fees, captain fees, pre-paid fuel charges, at the Owner’s discretion. KellyBoat “ Service Fees” are included in the Boat Fees. KellyBoat will collect the Fees at the time of booking confirmation (i.e. when the Owner confirms the booking within 24 hours of the booking request) and will initiate payment to the owner, less KellyBoat’s Service Fees as defined in the Fees Policy http://KellyBoat.com/fees) within two business days after of when the Guest arrives at the applicable Boat (except to the extent that a refund is due to the Guest). Failure to charge any of the fees or other indulgences shall not constitute a waiver of the right to exercise the same in the event another fee should become due at any other time. Each Owner hereby appoints KellyBoat as the Owner’s limited agent solely for the purpose of collecting payments made by Guests on behalf of the Owner. Each Owner agrees that payment of Boat fees made by a Guest to KellyBoat shall be considered the same as a payment made directly to the Owner and the Owner will make the Boat available to guest in the agreed upon manner as if the Owner has received the Boat Fees. Each Owner agrees that KellyBoat may, in accordance with the cancellation policy selected by the Owner and reflected in the relevant Listing, (i) permit the guest to cancel the booking and (ii) refund to the guest that portion of the Boat Fees specified in the applicable cancellation policy. In accepting appointment as the limited authorized agent of the Owner, KellyBoat assumes no liability for any acts or omissions of the Owner. Please note that KellyBoat does not currently charge fees for the creation of Listings. However, you acknowledge and agree that KellyBoat reserves the right, in its sole discretion, to charge you for and collect fees from you for the creation of Listings, or for other features of the Services. Please note that KellyBoat will provide notice of any such additional fees via the Services, prior to implementing such fees. The Owners, not KellyBoat, are solely responsible for honoring any confirmed bookings and making available any Boats reserved through the Services. If you, as a guest, choose to enter into a transaction with an Owner for the booking of a Boat, you agree and understand that you will be required to enter into an agreement with the Owner and you agree to accept any terms, conditions, rules and restrictions associated with such Boat imposed by the Owner. You acknowledge and agree that you, and not KellyBoat, will be responsible for performing the obligations of any such agreements, that KellyBoat is not a party to such agreements, and that, with the exception of its obligations hereunder to pay Boat Fees to the applicable Owner, KellyBoat disclaims all liability arising from or related to any such agreements. You acknowledge and agree that, notwithstanding the fact that KellyBoat is not a party to the agreement between you and the Owner, KellyBoat acts as the Owner’s payment agent for the limited purpose of accepting payments from you on behalf of the Owner. Upon your payment of amounts to KellyBoat which are due to the Owner, your payment obligation to the Owner for such amounts is extinguished, and KellyBoat is responsible for remitting such amounts, less KellyBoat’s Fees, to the Owner. In the event that KellyBoat does not remit any such amounts to an Owner, such Owner will have recourse for such amounts only against KellyBoat. Listings for Boats will specify the Total Fees. As noted above, the Owner is required to either confirm or reject the booking within 24 hours of when the booking is requested (as determined by KellyBoat in its sole discretion) or the requested booking may be automatically canceled. If a requested booking is canceled for a valid reason (i.e. not confirmed by the applicable Owner), any amounts collected by KellyBoat will be refunded to such guest, depending on the selections the guest makes via the Services, and any pre-authorization of such guest’s credit card will be released, if applicable. You agree to pay KellyBoat for the Total Fees for any booking requested in connection with your KellyBoat Account if such requested bookings are confirmed by the applicable Owner. In order to establish a booking pending the applicable Owner’s confirmation of your requested booking, you understand and agree that KellyBoat, on behalf of the Owner, reserves the right, in its sole discretion, to (i) obtain a pre-authorization via your credit card for the Total Fees or (ii) charge your credit card a nominal amount, not to exceed one dollar ($1) to verify your credit card. Once KellyBoat receives confirmation of your booking from the applicable Owner, KellyBoat will collect the Total Fees in accordance with these Terms and the pricing terms set forth in the applicable Listing. Please note that KellyBoat cannot control any fees that may be charged to a guest by his or her bank related to KellyBoat’s collection of the Total Fees, and KellyBoat disclaims all liability in this regard. Payment processing services for users on KellyBoat are provided by Stripe and are subject their Terms of Service. By agreeing to these terms or continuing to use KellyBoat’s website or services, you agree to be bound by the Stripe Services Agreement, as the same may be modified from time to time. As a condition of KellyBoat enabling payment processing services through Stripe, you agree to provide KellyBoat accurate and complete information about you and your business, and you authorize KellyBoat to share it and transaction information related to your use of the payment processing services provided by Stripe. In consideration for providing the Services, KellyBoat collects service fees equal to twenty percent (20%) of the Boat Fees (“Owner Fees“). Owner Fees are deducted from the Boat Fees before remitting the Boat Fees to the Owner, within 24 hours of when the guest arrives at the applicable Boat. As a guest, you are responsible for leaving the Boat in the condition it was in when you arrived. You acknowledge and agree that, as a guest, you are responsible for your own acts and omissions and are also responsible for the acts and omissions of any individuals who you invite to, or otherwise provide access to the Boat. In the event that a Boat Owner claims otherwise and provides evidence of damage, including but not limited to, photographs, you agree to pay the cost of replacing the damaged items with equivalent items. After being notified of the claim and given forty eight (48) hours to respond, the payment will be charged to and taken from the credit card on file in your KellyBoat Account. KellyBoat also reserves the right to charge the credit card on file in your KellyBoat Account, or otherwise collect payment from you and pursue any avenues available to KellyBoat in this regard, including using Security Deposits, in situations in which you have been determined, in KellyBoat’s sole discretion, to have damaged the Boat, including, but not limited to, in relation to any payment requests made by Boat Owner, and in relation to any payments made by KellyBoat to Boat Owners. If we are unable to charge the credit card on file or otherwise collect payment from you, you agree to remit payment for any damage to the Boat to the applicable Boat Owner or to KellyBoat (if applicable). Both guest and Boat Owner agree to cooperate with and assist KellyBoat in good faith, and to provide KellyBoat with such information and take such actions as may be reasonably requested by KellyBoat, in connection with any complaints or claims made by customers relating to Boats or any personal or other property located at a Boat or with respect to any investigation undertaken by KellyBoat or a representative of KellyBoat regarding use or abuse of the Site, Application or the Services. If you are a guest, upon KellyBoat’s reasonable request, and to the extent you are reasonably able to do so, you agree to participate in mediation or similar resolution process with a Boat Owner, at no cost to you, which process will be conducted by KellyBoat or a third party selected by KellyBoat , with respect to losses for which the Boat Owner is requesting payment from KellyBoat under these terms. If, as a guest, you cancel your requested booking before the requested booking is confirmed by an Owner, KellyBoat will cancel any pre-authorization to your credit card and/or refund any nominal amounts charged to your credit card in connection with the requested booking within a commercially reasonable time. If, as a guest, you wish to cancel a confirmed booking made via the Services, either prior to or after arriving at the Boat, the cancellation policy of the Owner contained in the applicable Listing will apply to such cancellation. Our ability to refund the Boat Fees and other amounts charged to you will depend upon the terms of the applicable cancellation policy. Details regarding refunds and cancellation policies are available via the Services. If an Owner cancels a confirmed booking made via the Services, (i) KellyBoat will refund the Total Fees for such booking to the applicable guest within a commercially reasonable time of the cancellation and (ii) the guest may receive an email or other communication from KellyBoat containing alternative Listings and other related information. If the guest requests a booking from one of the alternative Listings and the Owner associated with such alternative Listing confirms the guest’s requested booking, then the guest agrees to pay KellyBoat the Total Fees relating to the confirmed booking for the Boat in the alternative Listing, in accordance with these Terms. If an Owner cancelled a confirmed booking and you, as a guest, have not received an email or other communication from KellyBoat, please contact our support team via info@kellyboat.com. IRS regulation, regarding federal tax reporting requirements, stipulates that KellyBoat must collect IRS Form W-9 from all Owners in the United States. You understand and agree that you are solely responsible for determining your applicable Tax reporting requirements in consultation with your tax advisors. KellyBoat cannot and does not offer Tax-related advice. Additionally, please note that each Owner is responsible for determining local indirect Taxes and for including any applicable Taxes to be collected or obligations relating to applicable Taxes in Listings. Where applicable, or based upon request from an Owner, KellyBoat may issue a valid VAT invoice to such Owner. KellyBoat will have the right to investigate and prosecute violations of any of the above to the fullest extent of the law. KellyBoat may involve and cooperate with law enforcement authorities in prosecuting users who violate these Terms. You acknowledge that KellyBoat has no obligation to monitor your access to or use of the Services or Collective Content or to review or edit any Member Content, but has the right to do so for the purpose of operating the Services, to ensure your compliance with these Terms, or to comply with applicable law or the order or requirement of a court, administrative agency or other governmental body. KellyBoat reserves the right, at any time and without prior notice, to remove or disable access to any Collective Content that KellyBoat, at its sole discretion, considers to be objectionable for any reason, in violation of these Terms or otherwise harmful to the Services. The Services are protected by copyright, trademark, and other laws of the United States and foreign countries. You acknowledge and agree that the Services, including all associated intellectual property rights is the exclusive property of KellyBoat and its licensors. You will not remove, alter or obscure any copyright, trademark, service mark or other proprietary rights notices incorporated in or accompanying the Services. The Services may contain links to third-party websites or resources. You acknowledge and agree that KellyBoat is not responsible or liable for: (i) the availability or accuracy of such websites or resources; or (ii) the content, products, or services on or available from such websites or resources. Links to such websites or resources do not imply any endorsement by KellyBoat of such websites or resources or the content, products, or services available from such websites or resources. You acknowledge sole responsibility for and assume all risk arising from your use of any such websites or resources or the Content, products or services on or available from such websites or resources. All trademarks, service marks, logos, trade names and any other proprietary designations of KellyBoat used herein are trademarks or registered trademarks of KellyBoat. Any other trademarks, service marks, logos, trade names and any other proprietary designations are the trademarks or registered trademarks of their respective parties. We welcome and encourage you to provide feedback, comments and suggestions for improvements to the Services (“ Feedback“). You may submit Feedback through our support portal. You acknowledge and agree that all Feedback will be the sole and exclusive property of KellyBoat and you hereby irrevocably assign to KellyBoat and agree to irrevocably assign to KellyBoat all of your right, title, and interest in and to all Feedback, including without limitation all worldwide patent, copyright, trade secret, moral and other proprietary or intellectual property rights therein. At KellyBoat’s request and expense, you will execute documents and take such further acts as KellyBoat may reasonably request to assist KellyBoat to acquire, perfect, and maintain its intellectual property rights and other legal protections for the Feedback. KellyBoat respects copyright law and expects its users to do the same. It is KellyBoat’s policy to terminate in appropriate circumstances the KellyBoat Accounts of customers or other account holders who repeatedly infringe or are believed to be repeatedly infringing the rights of copyright holders. We may, in our discretion and without liability to you, with or without cause, with or without prior notice and at any time: (a) terminate these Terms or your access to our Services, and (b) deactivate or cancel your KellyBoat Account. Upon termination we will promptly pay you any amounts we reasonably determine we owe you in our discretion, which we are legally obligated to pay you. In the event KellyBoat terminates these Terms, or your access to our Services or deactivates or cancels your KellyBoat Account you will remain liable for all amounts due hereunder. 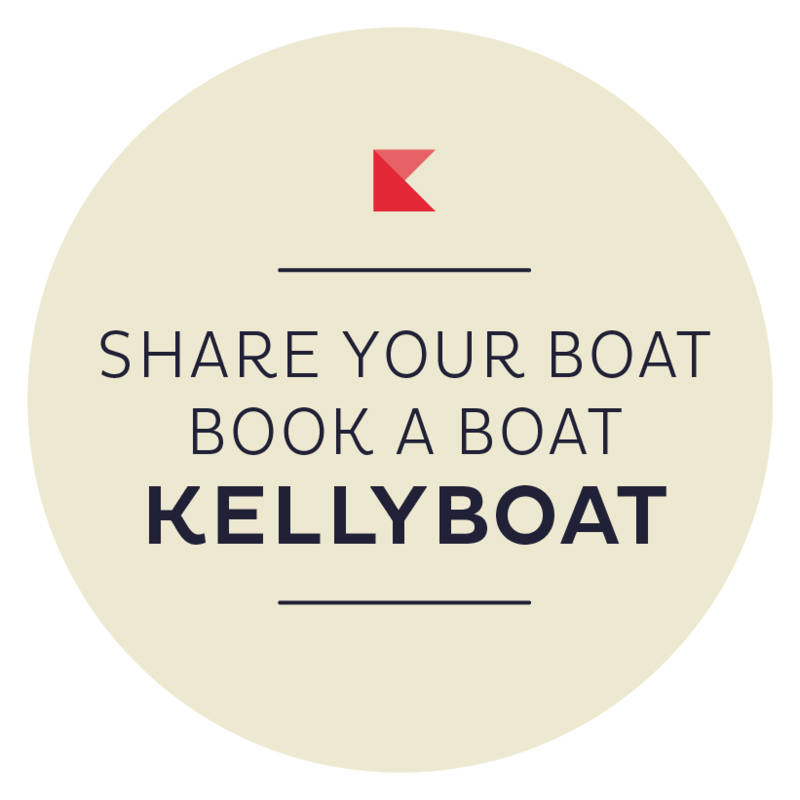 You may cancel your KellyBoat Account at any time by contacting us via info@kellyboat.com. Please note that if your KellyBoat Account is canceled, we do not have an obligation to delete or return to you any Content you have posted to the Site, Application and Services, including, but not limited to, any reviews or Feedback. IF YOU CHOOSE TO USE THE SERVICES, YOU DO SO AT YOUR SOLE RISK. YOU ACKNOWLEDGE AND AGREE THAT KELLYBOAT DOES NOT HAVE AN OBLIGATION TO CONDUCT BACKGROUND CHECKS ON ANY MEMBER, INCLUDING, BUT NOT LIMITED TO, GUESTS AND OWNERS, BUT MAY CONDUCT SUCH BACKGROUND CHECKS IN ITS SOLE DISCRETION. THE SERVICES, COLLECTIVE CONTENT ARE PROVIDED “ AS IS“, WITHOUT WARRANTY OF ANY KIND, EITHER EXPRESS OR IMPLIED. WITHOUT LIMITING THE FOREGOING, KELLYBOAT EXPLICITLY DISCLAIMS ANY WARRANTIES OF MERCHANTABILITY, FITNESS FOR A PARTICULAR PURPOSE, OR NON-INFRINGEMENT, AND ANY WARRANTIES ARISING OUT OF COURSE OF DEALING OR USAGE OF TRADE. KELLYBOAT MAKES NO WARRANTY THAT THE SERVICES, COLLECTIVE CONTENT, INCLUDING, BUT NOT LIMITED TO, THE LISTINGS OR ANY BOATS, WILL MEET YOUR REQUIREMENTS OR BE AVAILABLE ON AN UNINTERRUPTED, SECURE, OR ERROR-FREE BASIS. KELLYBOAT MAKES NO WARRANTY REGARDING THE QUALITY OF ANY LISTINGS, BOATS, THE SERVICES OR COLLECTIVE CONTENT OR THE ACCURACY, TIMELINESS, TRUTHFULNESS, COMPLETENESS OR RELIABILITY OF ANY COLLECTIVE CONTENT OBTAINED THROUGH THE SERVICES. NO ADVICE OR INFORMATION, WHETHER ORAL OR WRITTEN, OBTAINED FROM KELLYBOAT OR THROUGH THE SERVICES OR COLLECTIVE CONTENT, WILL CREATE ANY WARRANTY NOT EXPRESSLY MADE HEREIN. YOU ARE SOLELY RESPONSIBLE FOR ALL OF YOUR COMMUNICATIONS AND INTERACTIONS WITH OTHER USERS OF THE SERVICES AND WITH OTHER PERSONS WITH WHOM YOU COMMUNICATE OR INTERACT AS A RESULT OF YOUR USE OF THE SERVICES, INCLUDING, BUT NOT LIMITED TO, ANY OWNERS OR GUESTS. YOU UNDERSTAND THAT KELLYBOAT DOES NOT MAKE ANY ATTEMPT TO VERIFY THE STATEMENTS OF USERS OF THE SITE, APPLICATION OR SERVICES OR TO REVIEW OR INSPECT ANY BOATS. KELLYBOAT MAKES NO REPRESENTATIONS OR WARRANTIES AS TO THE CONDUCT OF USERS OF THE SITE, APPLICATION OR SERVICES OR THEIR COMPATIBILITY WITH ANY CURRENT OR FUTURE USERS OF THE SITE, APPLICATION OR SERVICES. YOU AGREE TO TAKE REASONABLE PRECAUTIONS IN ALL COMMUNICATIONS AND INTERACTIONS WITH OTHER USERS OF THE SITE, APPLICATION OR SERVICES AND WITH OTHER PERSONS WITH WHOM YOU COMMUNICATE OR INTERACT AS A RESULT OF YOUR USE OF THE SITE, APPLICATION OR SERVICES, INCLUDING, BUT NOT LIMITED TO, GUESTS AND OWNERS, PARTICULARLY IF YOU DECIDE TO MEET OFFLINE OR IN PERSON REGARDLESS OF WHETHER SUCH MEETINGS ARE ORGANIZED BY KELLYBOAT. NOTWITHSTANDING KELLYBOAT’S APPOINTMENT AS THE LIMITED AGENT OF THE OWNERS FOR THE PURPOSE OF ACCEPTING PAYMENTS FROM GUESTS ON BEHALF OF THE OWNERS, KELLYBOAT EXPLICITLY DISCLAIMS ALL LIABILITY FOR ANY ACT OR OMISSION OF ANY GUEST OR OTHER THIRD PARTY. YOU ACKNOWLEDGE AND AGREE THAT, TO THE MAXIMUM EXTENT PERMITTED BY LAW, THE ENTIRE RISK ARISING OUT OF YOUR ACCESS TO AND USE OF THE SERVICES AND COLLECTIVE CONTENT, YOUR LISTING OR BOOKING OF AND USE OF ANY BOATS VIA THE SERVICES, AND ANY CONTACT YOU HAVE WITH OTHER USERS OF THE SERVICES WHETHER IN PERSON OR ONLINE REMAINS WITH YOU. NEITHER KELLYBOAT NOR ANY OTHER PARTY INVOLVED IN CREATING, PRODUCING, OR DELIVERING THE SERVICES WILL BE LIABLE FOR ANY INCIDENTAL, SPECIAL, PUNITIVE, EXEMPLARY OR CONSEQUENTIAL DAMAGES, INCLUDING LOST PROFITS, LOSS OF DATA OR LOSS OF GOODWILL, SERVICE INTERRUPTION, COMPUTER DAMAGE OR SYSTEM FAILURE OR THE COST OF SUBSTITUTE PRODUCTS OR SERVICES, OR FOR ANY DAMAGES FOR PERSONAL OR BODILY INJURY OR EMOTIONAL DISTRESS ARISING OUT OF OR IN CONNECTION WITH THESE TERMS, FROM THE USE OF OR INABILITY TO USE THE SERVICES OR COLLECTIVE CONTENT, FROM ANY COMMUNICATIONS, INTERACTIONS OR MEETINGS WITH OTHER USERS OF THE SERVICES OR OTHER PERSONS WITH WHOM YOU COMMUNICATE OR INTERACT AS A RESULT OF YOUR USE OF THE SERVICES, OR FROM YOUR LISTING, BOOKING, OR USE OF ANY BOAT VIA THE SERVICES, WHETHER BASED ON WARRANTY, CONTRACT, TORT (INCLUDING NEGLIGENCE), PRODUCT LIABILITY OR ANY OTHER LEGAL OR EQUITABLE THEORY, AND WHETHER OR NOT KELLYBOAT HAS BEEN INFORMED OF THE POSSIBILITY OF SUCH DAMAGE, EVEN IF A LIMITED REMEDY SET FORTH HEREIN IS FOUND TO HAVE FAILED OF ITS ESSENTIAL PURPOSE. EXCEPT FOR OUR OBLIGATIONS TO PAY AMOUNTS TO APPLICABLE OWNERS PURSUANT TO THESE TERMS, IN NO EVENT WILL KELLYBOAT’S AGGREGATE LIABILITY ARISING OUT OF OR IN CONNECTION WITH THESE TERMS AND YOUR USE OF THE SERVICES INCLUDING, BUT NOT LIMITED TO, FROM YOUR LISTING, BOOKING OR USE OF ANY BOAT VIA THE SERVICES, OR FROM THE USE OF OR INABILITY TO USE THE SERVICES, OR COLLECTIVE CONTENT AND IN CONNECTION WITH ANY BOAT, EXCEED THE AMOUNTS YOU HAVE PAID FOR BOOKINGS VIA THE SITE, APPLICATION AND SERVICES AS A GUEST IN THE TWELVE (12) MONTH PERIOD PRIOR TO THE EVENT GIVING RISE TO THE LIABILITY, OR IF YOU ARE AN OWNER, THE AMOUNTS PAID BY KELLYBOAT TO YOU IN THE TWELVE (12) MONTH PERIOD PRIOR TO THE EVENT GIVING RISE TO THE LIABILITY, OR ONE HUNDRED DOLLARS ($100), IF NO SUCH PAYMENTS HAVE BEEN MADE, AS APPLICABLE. THE LIMITATIONS OF DAMAGES SET FORTH ABOVE ARE FUNDAMENTAL ELEMENTS OF THE BASIS OF THE BARGAIN BETWEEN KELLYBOAT AND YOU. SOME JURISDICTIONS DO NOT ALLOW THE EXCLUSION OR LIMITATION OF LIABILITY FOR CONSEQUENTIAL OR INCIDENTAL DAMAGES, SO THE ABOVE LIMITATION MAY NOT APPLY TO YOU. You agree to release, defend, indemnify, and hold KellyBoat and its affiliates and subsidiaries, and their officers, directors, employees and agents, harmless from and against any claims, liabilities, damages, losses, and expenses, including, without limitation, reasonable legal and accounting fees, arising out of or in any way connected with (a) your access to or use of the Services or your violation of these Terms; (b) your (i) booking or use of a Boat, (ii) creation of a Listing or (iii) the use, condition or rental of a Boat by you, including, but not limited to any injuries, losses, or damages (compensatory, direct, incidental, consequential or otherwise) of any kind arising in connection with or as a result of a rental, booking or use of a Boat. By using the Services, you represent and warrant that (i) neither you nor your listed Boat is located in a country that is subject to a U.S. Government embargo, or that has been designated by the U.S. Government as a “ terrorist supporting” country and (ii) you are not listed on any U.S. Government list of prohibited or restricted parties. You also will not use the Services for any purpose prohibited by U.S. law, including the development, design, manufacture or production of missiles, or nuclear, chemical or biological weapons. KellyBoat does not permit Listings associated with certain countries due to U.S. embargo restrictions. If you interact with another user of the Services who you feel is acting or has acted inappropriately, including but not limited to, anyone who (i) engages in offensive, violent or sexually inappropriate behavior, (ii) you suspect of stealing from you, or (iii) engages in any other disturbing conduct, you should immediately report such person to the appropriate authorities and then to KellyBoat by contacting us at info@kellyboat.com provided that your report will not obligate us to take any action beyond that required by law (if any) or cause us to incur any liability to you. These Terms constitute the entire and exclusive understanding and agreement between KellyBoat and you regarding the Services, Collective Content, and any bookings or Listings of Boats made via the Services, and these Terms supersede and replace any and all prior oral or written understandings or agreements between KellyBoat and you regarding the foregoing. You may not assign or transfer these Terms, by operation of law or otherwise, without KellyBoat’s prior written consent. Any attempt by you to assign or transfer these Terms, without such consent, will be null and of no effect. KellyBoat may assign or transfer these Terms, at its sole discretion, without restriction. Subject to the foregoing, these Terms will bind and inure to the benefit of the parties, their successors and permitted assigns. Any notices or other communications permitted or required hereunder, including those regarding modifications to these Terms, will be in writing and given by KellyBoat (i) via email (in each case to the address that you provide) or (ii) by posting to the Site. For notices made by e-mail, the date of receipt will be deemed the date on which such notice is transmitted. These Terms will be interpreted in accordance with the laws of the Commonwealth of Massachusetts and the United States of America, without regard to its conflict-of-law provisions. You and we agree to submit to the personal jurisdiction of a state court located in Suffolk County, Boston, Massachusetts for any actions for which the parties retain the right to seek injunctive or other equitable relief in a court of competent jurisdiction to prevent the actual or threatened infringement, misappropriation or violation of a party’s copyrights, trademarks, trade secrets, patents, or other intellectual property rights, as set forth in the Dispute Resolution provision below. You and KellyBoat agree that any dispute, claim or controversy arising out of or relating to these Terms or the breach, termination, enforcement, interpretation or validity thereof, or to the use of the Services (collectively, “ Disputes“) will be settled by binding arbitration, except that each party retains the right to seek injunctive or other equitable relief in a court of competent jurisdiction to prevent the actual or threatened infringement, misappropriation or violation of a party’s copyrights, trademarks, trade secrets, patents, or other intellectual property rights. YOU ACKNOWLEDGE AND AGREE THAT YOU AND KELLYBOAT ARE EACH WAIVING THE RIGHT TO A TRIAL BY JURY OR TO PARTICIPATE AS A PLAINTIFF OR CLASS MEMBER IN ANY PURPORTED CLASS ACTION OR REPRESENTATIVE PROCEEDING. Further, unless both you and KellyBoat otherwise agree in writing, the arbitrator may not consolidate more than one person’s claims, and may not otherwise preside over any form of any class or representative proceeding. If this specific paragraph is held unenforceable, then the entirety of this “Dispute Resolution” section will be deemed void. Except as provided in the preceding sentence, this “Dispute Resolution” section will survive any termination of these Terms. Arbitration Rules and Governing Law. The arbitration will be administered by the American Arbitration Association (“AAA“) in accordance with the Commercial Arbitration Rules and the Supplementary Procedures for Consumer Related Disputes (the “AAA Rules“) then in effect, except as modified by this “Dispute Resolution” section. (The AAA Rules are available at http://www.adr.org/arb_med or by calling the AAA at 1-800-778-7879.) The Federal Arbitration Act will govern the interpretation and enforcement of this section. Arbitration Location and Procedure. Unless you and KellyBoat otherwise agree, the arbitration will be conducted in the county where you reside. If your claim does not exceed $10,000, then the arbitration will be conducted solely on the basis of documents you and KellyBoat submit to the arbitrator, unless you request a hearing or the arbitrator determines that a hearing is necessary. If your claim exceeds $10,000, your right to a hearing will be determined by the AAA Rules. Subject to the AAA Rules, the arbitrator will have the discretion to direct a reasonable exchange of information by the parties, consistent with the expedited nature of the arbitration. Arbitrator’s Decision. The arbitrator will render an award within the time frame specified in the AAA Rules. The arbitrator’s decision will include the essential findings and conclusions upon which the arbitrator based the award. Judgment on the arbitration award may be entered in any court having jurisdiction thereof. The arbitrator’s award damages must be consistent with the terms of the “Limitation of Liability” section above as to the types and the amounts of damages for which a party may be held liable. The arbitrator may award declaratory or injunctive relief only in favor of the claimant and only to the extent necessary to provide relief warranted by the claimant’s individual claim. If you prevail in arbitration you will be entitled to an award of attorneys’ fees and expenses, to the extent provided under applicable law. KellyBoat will not seek, and hereby waives all rights it may have under applicable law to recover, attorneys’ fees and expenses if it prevails in arbitration. Fees. Your responsibility to pay any AAA filing, administrative and arbitrator fees will be solely as set forth in the AAA Rules. However, if your claim for damages does not exceed $75,000, KellyBoat will pay all such fees unless the arbitrator finds that either the substance of your claim or the relief sought in your Demand for Arbitration was frivolous or was brought for an improper purpose (as measured by the standards set forth in Federal Rule of Civil Procedure 11(b)). Changes. Notwithstanding the provisions of the “Modification” section above, if KellyBoat changes this “Dispute Resolution” section after the date you first accepted these Terms (or accepted any subsequent changes to these Terms), you may reject any such change by sending us written notice (via email or letter) within 30 days of the date such change became effective, as indicated in the “Last Updated Date” above or in the date of KellyBoat’s email to you notifying you of such change. By rejecting any change, you are agreeing that you will arbitrate any Dispute between you and KellyBoat in accordance with the provisions of this “Dispute Resolution” section as of the date you first accepted these Terms (or accepted any subsequent changes to these Terms). The failure of KellyBoat to enforce any right or provision of these Terms will not constitute a waiver of future enforcement of that right or provision. The waiver of any such right or provision will be effective only if in writing and signed by a duly authorized representative of KellyBoat. Except as expressly set forth in these Terms, the exercise by either party of any of its remedies under these Terms will be without prejudice to its other remedies under these Terms or otherwise. If for any reason an arbitrator or a court of competent jurisdiction finds any provision of these Terms invalid or unenforceable, that provision will be enforced to the maximum extent permissible and the other provisions of these Terms will remain in full force and effect. If you have any questions about these Terms of Service, please contact KellyBoat Support via info@kellyboat.com. The following information is typically needed to establish a service or an account with KellyBoat: name, address, telephone number, boat identification and email address. As an option, customers may elect to provide credit card or banking information to facilitate electronic payment either at the time of service or at a later date. Additionally, active and potential customers may be asked to provide additional information related to their boating preferences. If you choose to not provide this additional information may result in KellyBoat being unable to deliver certain promotions or product offerings. As a standard practice KellyBoat requests an email address and two phone numbers from all customers and occasionally will send emails describing new products, promotions or events. These email services are optional and you may opt-out of these services, solicitations and offers completely, at any time, by selecting the opt-out option within any communication. This opt-out option does not apply to emails sent for other reasons such as responding to your requests for service, information or matters relative to your account. If you do not wish to receive email from KellyBoat, simply select the opt-out option on any email you receive and you will be removed from all future mailings. KellyBoat also collects certain non-personal public data in the course of normal business. Examples of this non-personal data include web log information such as your web browser, operating system, pages visited, time of day, source IP address, browser type, ISP, etc. For time to time KellyBoat may purchase personal information from outside sources. This information is used to identify potential new customers as well as analyze the existing customer base. The information purchased from outside sources is strictly for internal use and it is not sold or shared with others. KellyBoat is required to collect personal information during the reservation process and this information may be collected in a variety of ways. To enroll for and fully utilize KellyBoat’s services, KellyBoat’s customers are required to provide the minimum amount of personal information necessary to activate an account for services. This personal information may be collected through online web forms, hand written forms that are faxed, verbally over the phone or through personal interaction with a KellyBoat representative (i.e. sales and customer service personnel). KellyBoat may occasionally ask customers to complete surveys and provide opinions about interests, needs, and viewpoints. These surveys help KellyBoat provide better services and products to meet our customer’s needs. When customers contact the KellyBoat customer service department it may be necessary to obtain personal information for record keeping and follow-up. Primarily, KellyBoat uses the information our customers provide to contact them for account service, billing and marketing purposes. For example, we may send marketing or promotional materials related to new service offerings or we may need to contact a customer in the course of fulfilling a service request. Most commonly we use personal information to confirm and verify service enrollment status and financial information to process a reservation. KellyBoat does not collect personal information automatically or without the customers consent. However, for analysis purposes KellyBoat may combine non-personal public information that is collected automatically, via the internet or phone system, with personal information. We may also enhance or merge personal information with data obtained from third parties for the same purposes. This merged and combined data is for internal use only and is not shared with or sold to others. Except in the event of a business transfer or acquisition, KellyBoat will not share, trade or sell personal information about customers to others. When companies acquire other businesses or sell all or substantial portions of a business then customer information generally is one of the transferred assets. If KellyBoat or substantially all of KellyBoat’s assets are transferred through merger, acquisition, bankruptcy or any other change of corporate control then, customer information will be one of the transferred assets. Sometimes KellyBoat may send offers to customers on behalf of another businesses. When this happens, customer information is not shared with the other business and KellyBoat controls the information as well as the communication. Aggregated and statistical data from our web site and phone systems may be shared with our partners. For example, we may let a business partner know the total number of visitors to a site on a given day or total number of customers calling at a given time. All employees, contractors and other independent companies engaged by KellyBoat to perform work that involves access to personal information are contractually required to keep the information confidential and private and are not permitted to use it in any way other than what is necessary to perform their work for KellyBoat. KellyBoat may release personal data, including account information, when we believe release is appropriate to comply with laws, regulations or judicial orders; or to protect the rights, property, or safety of KellyBoat, our customers, or others. This includes exchanging information with other companies and organizations for fraud protection and credit risk reduction. KellyBoat also reserves the right to share the information to respond to duly authorized information requests of governmental, regulatory and law enforcement in accordance with applicable law. KellyBoat automatically collects non-personal information from all visitors to the company web site. The collection of this nonpersonal information is done using a variety of technologies, including log analysis, “cookies” and “web beacons”. None of our methods for collecting this information allows for the collection of personal information. The information collected is used to help tailor the visitor’s internet site experience including but not limited to personalized content, advertising and meaningful information. KellyBoat believes that it is especially important to protect children’s privacy online. The KellyBoat web sites are directed at an adult audience and we therefore do not knowingly collect personal information from children. KellyBoat is committed to keeping our customers personal data private and secure. KellyBoat works hard to take reasonable precautions to protect our customer’s personal information from loss, misuse or alteration. These precautions include limiting access to such information to authorized individuals only. Personal information is destroyed once it is determined it is of no use or outdated. Agents, contractors, or partners of KellyBoat who have access to personal information are required to keep the information confidential and are not permitted to use this information for any other purpose than to carry out the services they are performing for KellyBoat. KellyBoat allows customers to choose to receive or stop receiving solicitations from us at any time. We accomplish this by maintaining a “Customer Preference File” in which customer preferences are recorded as they related to billing (paper or electronic), communications and solicitations. KellyBoat attempts to determine customer preferences by using data provided by the Direct Marketing Association and the National Do Not Call Registry. When contacting us by email or mail, be sure to include your name, address, telephone number, and email address. In addition, please indicate your preferences for postal mail, telephone and email communications from KellyBoat. Some KellyBoat web sites may contain links to other sites. KellyBoat is not responsible for the privacy practices or the content of such web sites. We recommend you carefully read the privacy policies of each site you visit.